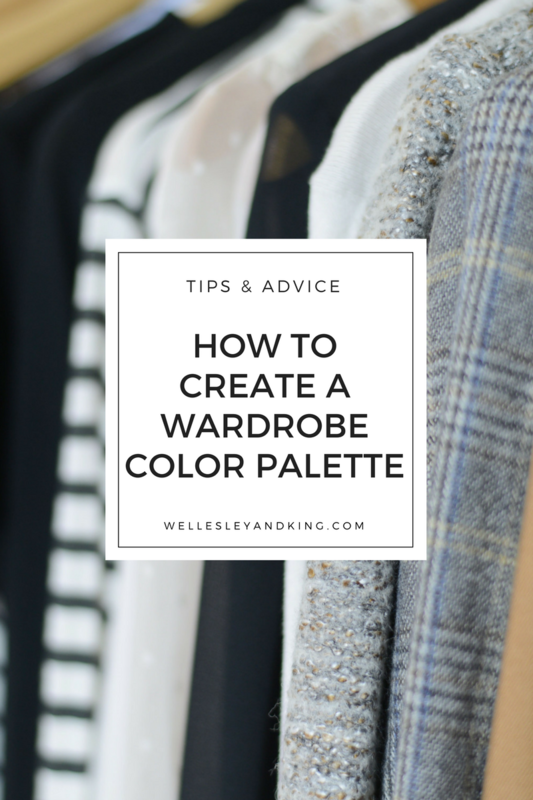 Today’s post is one I’m so passionate about: how to create a wardrobe color palette. Intriguing, right? I mentioned my own wardrobe color palette in this post and this post, and I went into detail about finding your most flattering colors here (which I suggest reading before establishing a color palette). Creating a specific color palette is such a key concept when building a long term, flattering wardrobe that it certainly warrants its own post. Each of the pairing rules revolve around a basic color wheel, and you want to keep these pairings in mind when creating your wardrobe color palette. Choosing colors that fall into one of the following three pairing rules ensures that your items will go well together, and support plenty of mixing and matching. 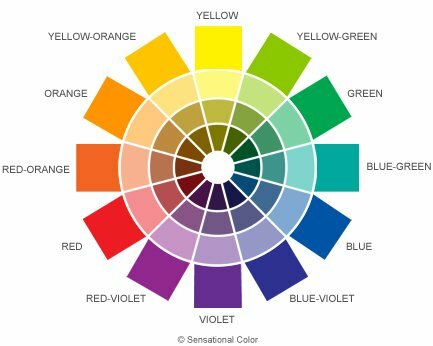 Monochromatic colors are colors that are within the same “spoke” on the color wheel. So, for example, in the blue-green spoke, well-paired colors would be the four colors of varying saturations in the image above. In complementary palettes, well-paired colors would consist of those that are across from one another in the color wheel (example: blue-violet and yellow-orange in the above photo). Analogous pairings consist of colors that are next to one another on the color wheel (example: blue-green and blue in the above image). Why are color palettes so important? 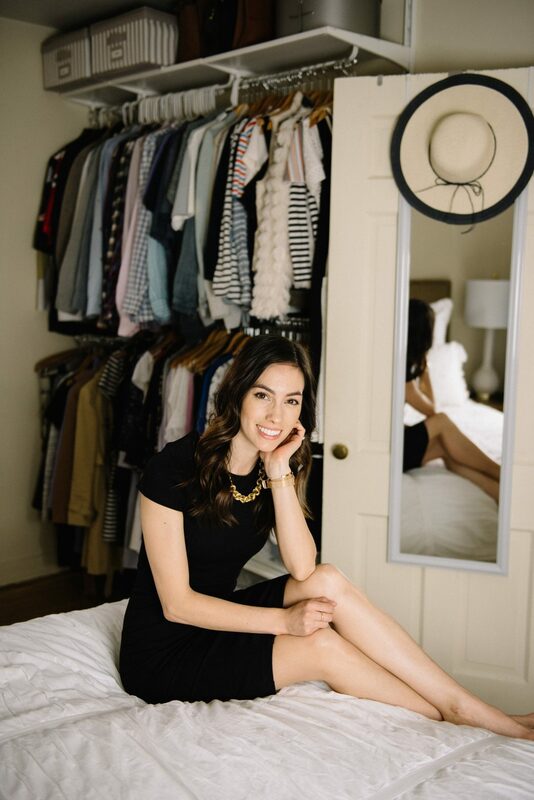 One of the main ideas when building a capsule wardrobe is that you want to capitalize on versatility. A big part of versatility is choosing, and sticking to, a set of colors that work well together; this ensures that all of your pieces can be easily mixed and matched. How can I build my own wardrobe color palette? From experience, I think you will be surprised at how easily your palette can come together. 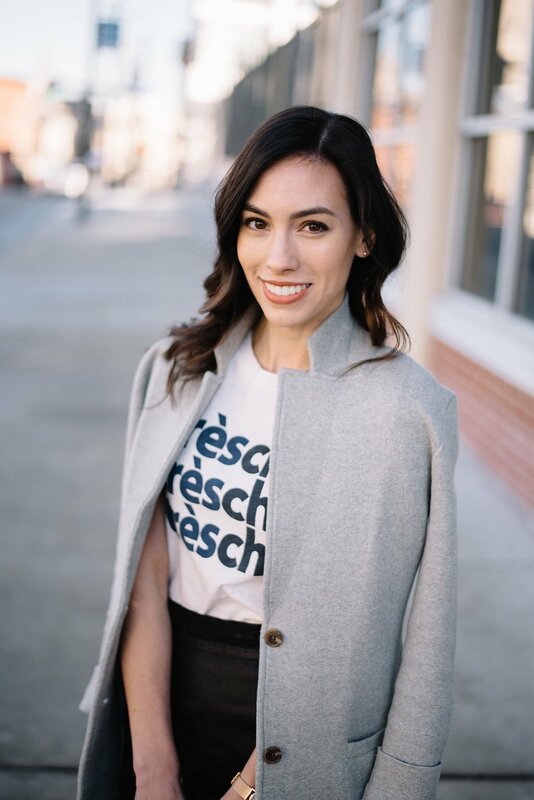 When you’re creating a capsule wardrobe, it’s not necessary to start from scratch and buy a whole new wardrobe based on a selected color palette–though that idea can seem tempting. On the contrary, you likely have some favorite colors you enjoy wearing most (mine have always been white and black), so use those as the basis for your palette. From there, pick and choose pieces that will complement those main colors in the ways mentioned above (monochromatic, complementary or analogous). Something to keep in mind: your palette does not (and likely won’t be) the same from season to season, or year to year. My fall color palette this year is different than it was last year. My wardrobe is constantly evolving as I learn more and more about what flatters and the pieces worth investing in. That said, once you decide on a specific color palette, you don’t have to toss anything that doesn’t fit that scheme. Instead, if you really love the piece, store it away until winter or next fall. 1.) Colour Lovers: This site has premade palettes that are great examples to help if you’re totally lost. You’re also able to upload your own palettes. 2.) Adobe Color CC: A user-friendly site, from the trusted Adobe team, that enables you to create your own palettes quickly and easily. 3.) Degraeve.com: Upload a photo and this site will convert it into a color palette. Have you created a wardrobe color palette? What tips can you share?